Alcoholism, drugs, aggressive behaviour, harassment, stalking, social media, mental health, mobile phone applications, indecent images, cybercrime – in the realm of criminal proceedings things we humans have just discovered and things we have known since the beginning of time intertwine. The world is constantly changing and with it change our laws. Law changes impact on law enforcement and the ways in which judicial systems operate. Moreover, globalisation and migration necessitate the need for increased involvement of court interpreters, who just like legal professionals need to constantly adapt, learn and collaborate to improve their skills, knowledge and qualifications. As court interpreter in Scotland I believe that some of the most challenging assignments are related to substance abuse, domestic violence and sexual offences, especially when we account for the constantly evolving law and fast changing technology. In my presentation I would like to share and discuss matters of professional practice, ethical dilemmas as well as cultural aspects in relation to these ongoing changes in legislation, technology and global events. 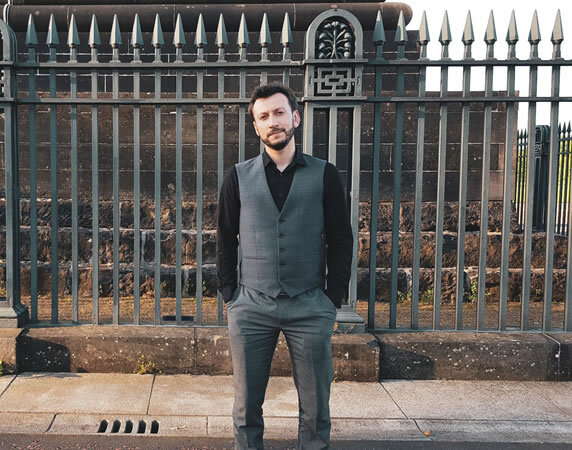 Kuba Hiterski is a graduate of Glasgow University (Economics and Psychology) and of Strathclyde University (MSc in Environmental Entrepreneurship) and holds Diploma in Public Service Interpreting (Scots Law) since 2012. A court interpreter in Scotland since 2011, which accounts for majority of his over 3000 hours of professional interpreting experience. Also co-founder and director of Justycja, a legal translation company specialising in English and Eastern European languages.